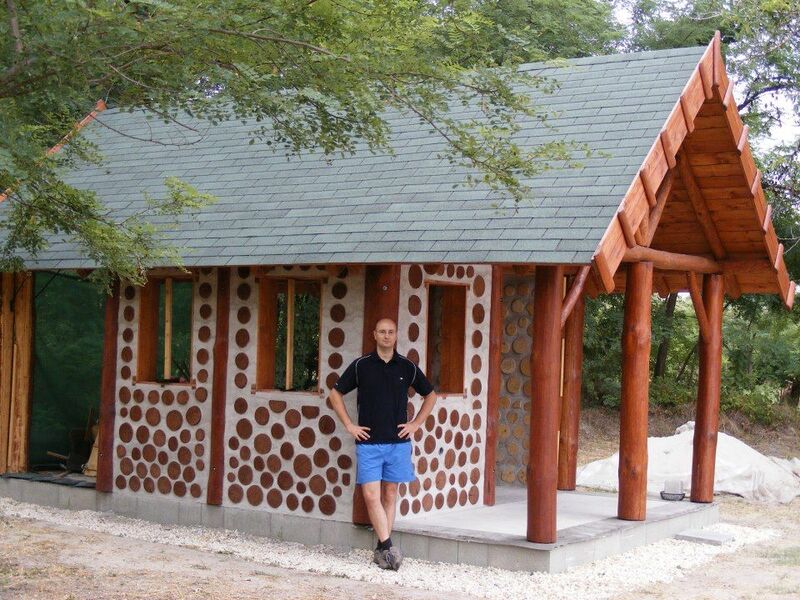 Tamas recently sent some new photos of his finished cordwood cabin in Hungary. 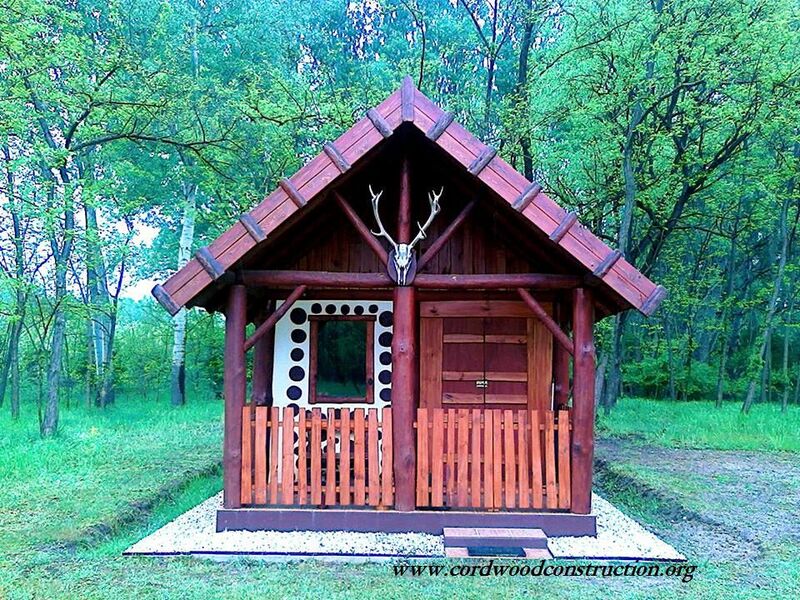 Thank you Tamas for sharing your creative work of building a cordwood cabin. 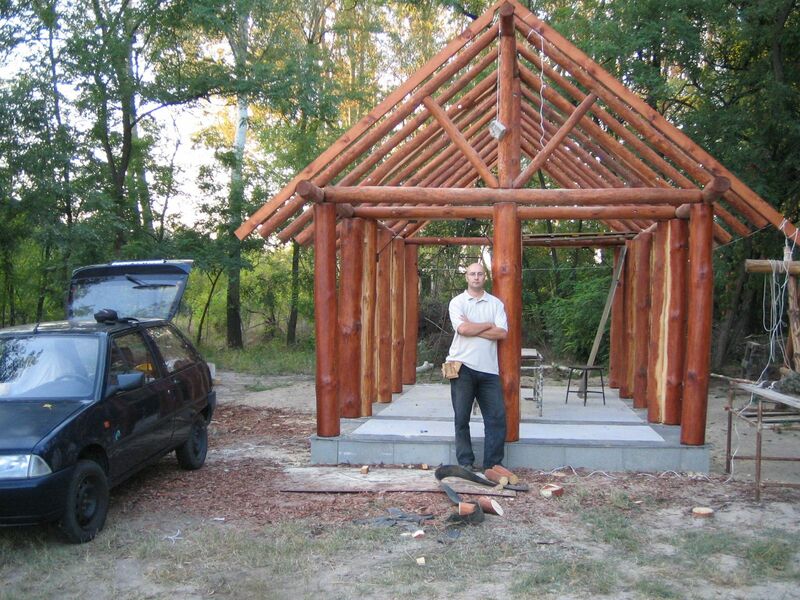 His logs are pine, cut from the surrounding forest and he did the work on weekends. 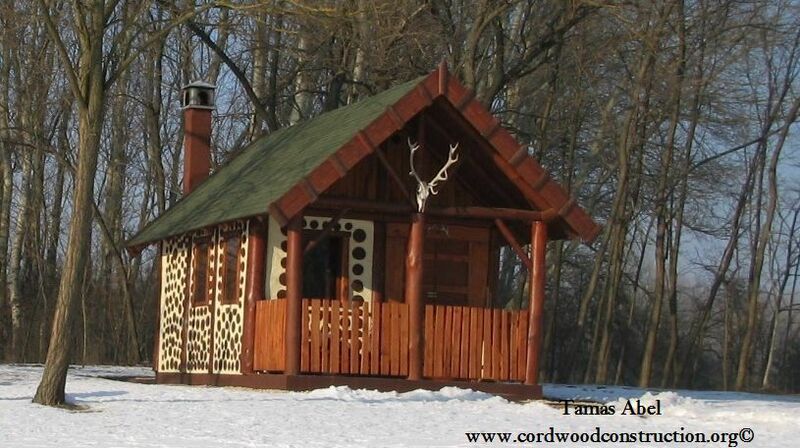 He has made himself a wonderful get-away cabin. 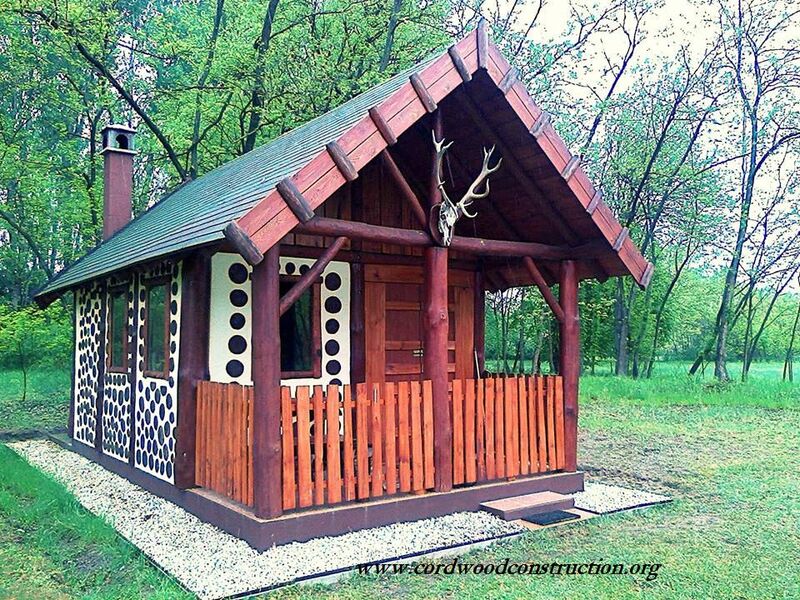 Tamas Abel’s cordwood cabin in Hungary. 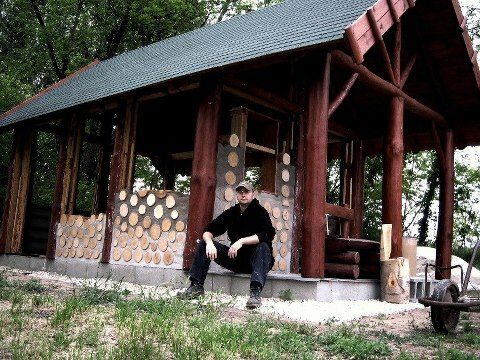 Tamas sent a message and a picture to my Facebook page www.facebook.com/cordwoodconstruction, stating that he had built a cordwood cabin in Hungary. I was delighted and we exchanged pictures and messages. We would write our messages in our own languages and then use Google Translator. Even though some words don’t translate properly, we got the “gist” of each other’s thoughts. The construction process. 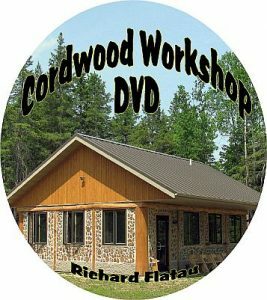 Post framework, the roof on and cordwood infill commencing. Cement slab, post and beam framework. 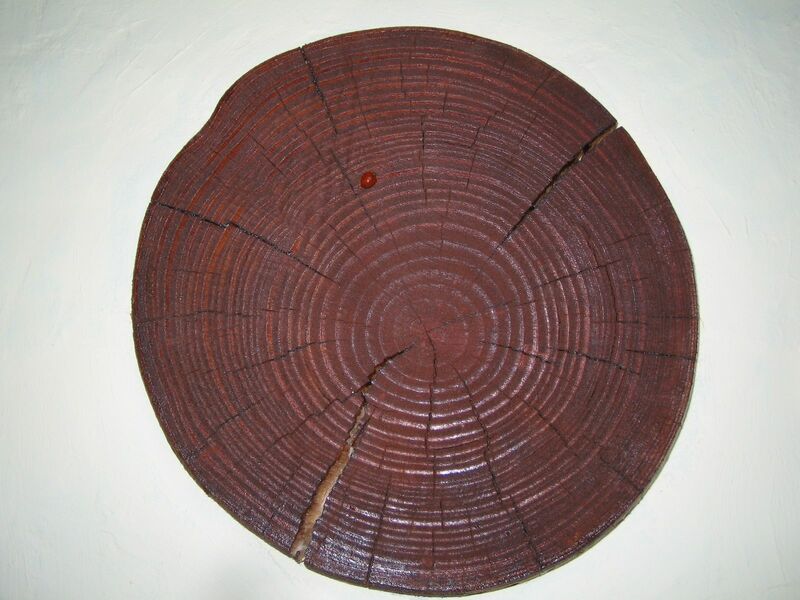 Tamas used a cream-colored emulsion to tint his mortar white. 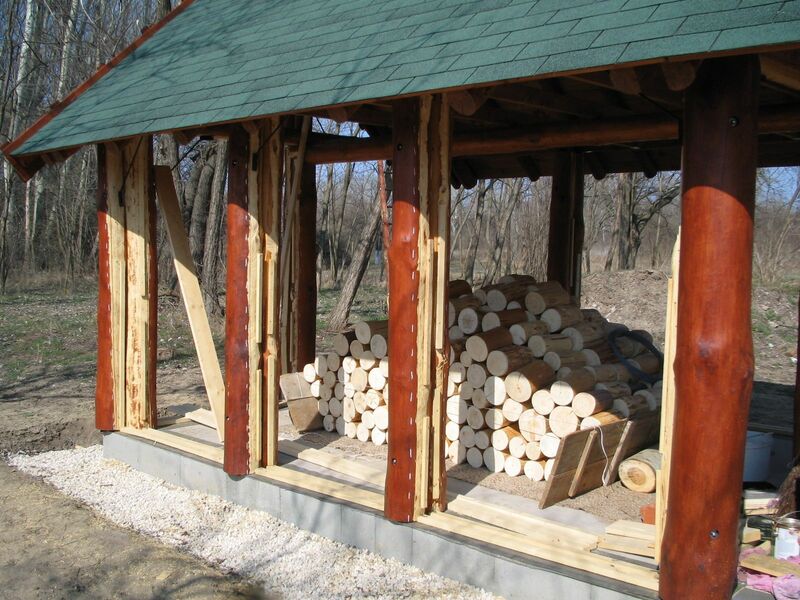 He also pegged his logs so they would never move in the walls. Very ingenious, don’t you think? 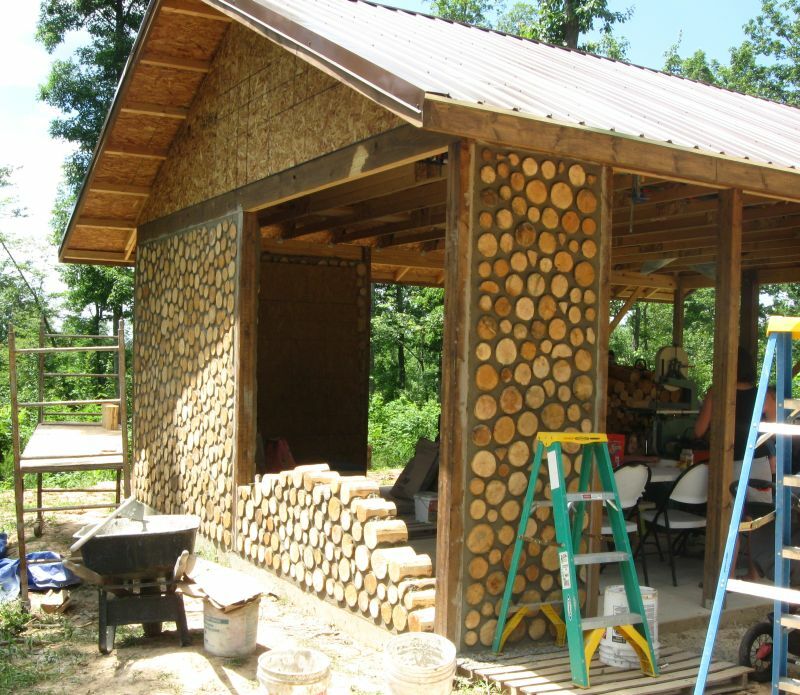 Note that logs are all inside and clean and ready to be mortared into a wall section. Here is a translated message from Tamas. “Welcome! 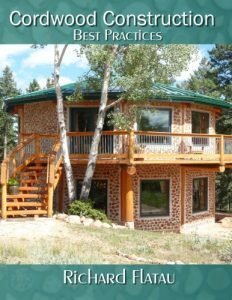 This house was planning a weekend house. The wall I use a 25cm log. 9 The mortar sand, 2 cement, hydrated lime 3, 3 sawdust. 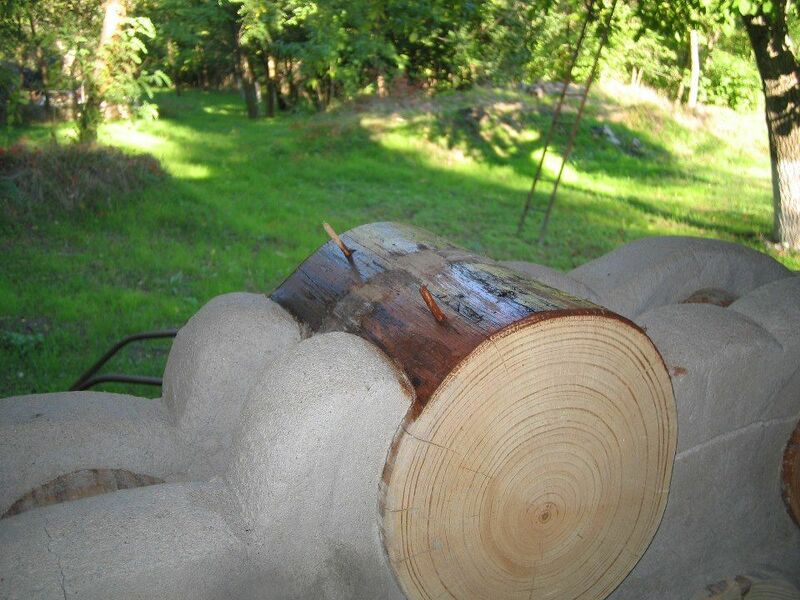 The log is made of pine, sanded both ends. The lights were cut off from their own forest. The columns and the roof is made of this. 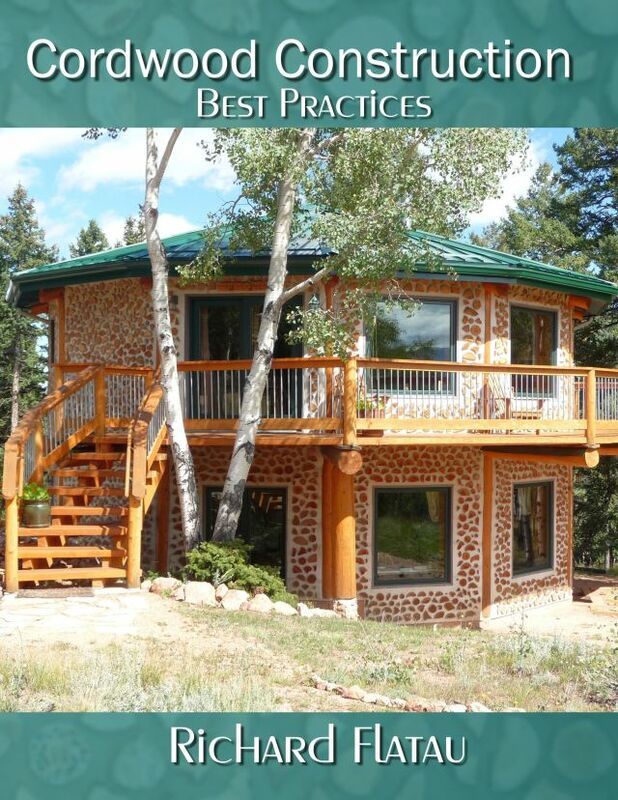 If you are interested in the details we will send pictures. 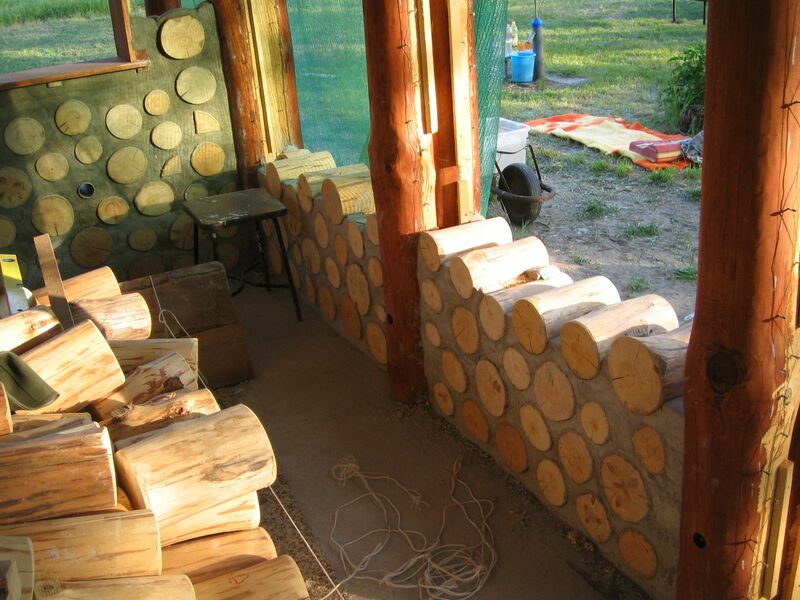 Tamas stained the exterior faces of his pine logs to keep them from weathering and he left the inside faces natural. I want to thank Tamas for sending me this pictures, he also gave me permission to share these on my blog and website so others could see his wonderful work. Good job Tamas! To order the “take a workshop in your living room” Cordwood Workshop DVD click on the picture.